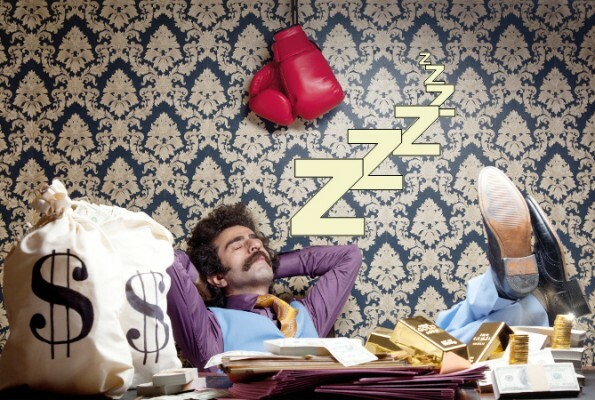 Slow Sleep – the blog of sleep: Who sleeps better: the rich or the poor? “Money does not bring happiness” goes the old familiar saying but…it no doubt helps you sleep better! According to studies by a group of Colombian engineers on a sample of commuters in the cities of Medellin and Manizales, it appears that people who belong to the upper classes are less stressed because they don’t have to wake up in the morning and commute as far which, therefore, leads to better sleep. The study doesn’t look at psychological or physiological aspects, but focuses on logistics instead. This study is definitely geared toward engineers, but still very interesting. Taxi cabs, a personal driver, and in some cases even a helicopter: the commute for some rich people allow them to sleep more, leave home later and get home earlier, which limits their stress from traffic. According to studies, these luxuries also make time spent with family members better and of course, it also increases their amount of free time. This inevitably translates into better quality sleep. Those who have less money are forced to leave home earlier, travel on crowded public transportation systems, and deal with the fickle schedules of bus lines and subways. All of these things “shorten” the amount of one’s free time and translates into more stress and a less relaxing sleep. Not to mention financial worries which, as we know, are not conducive to a restful sleep either. There’s one thing this study does not say though, which is that sleeping great is possible even when we do not have much money to spend. Magniflex, in fact, not only ensures quality but they are also committed to a discount policy for their customers. Sleep is the most important pleasure, right? Magniflex adds an incentive to the pleasure, which is always… a pleasant thing!